By: George.Chatzigeorgiou March 15, 2019 2 Comments. 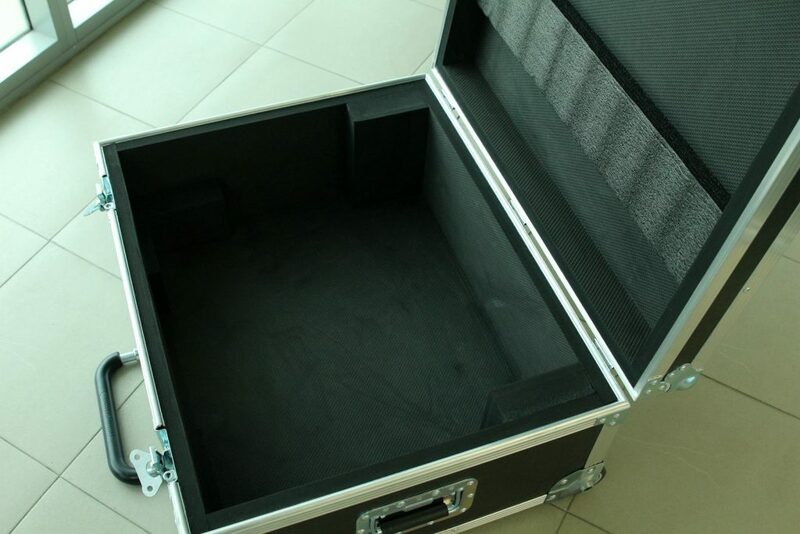 This flight case is for E. R. Sarkova for her Scandalli Super L 120 Accordion. It is a solid case made out of 9mm thick plywood with black PVC finish, 25-30mm wide aluminium extrusion and its interior is padded with 20mm broad EVA foam. The lid has a 30mm PE foam insert and the bottom, 4 50mm pieces, for the accordion to sit perfectly in the case. We, also, installed a pull-out handle and recessed castors for effortless wheeling. 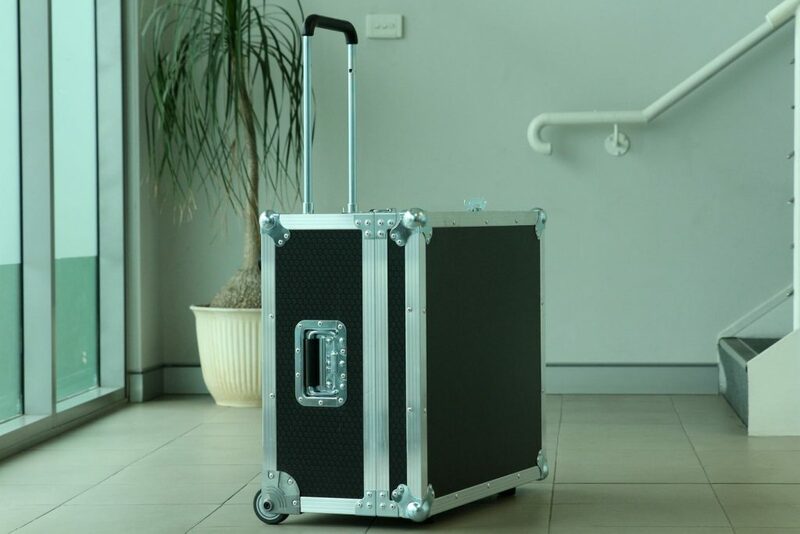 All of our cases come with a 5-year warranty! Hi How much is something like this. I am a photographer. Hi Romualdo, we will email you regarding your enquiry thanks!